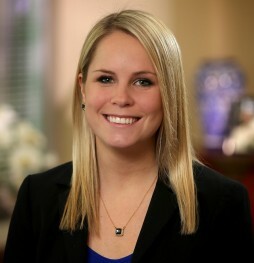 Emily Cunningham is a Director of Grants and Federal Affairs in the Higher Education Practice at McAllister & Quinn. In this capacity, Emily provides strategic planning and grant support for the firm’s higher education clients. She utilizes her expertise to strategically identify funding opportunities for clients to pursue. In addition, she helps organize the firm’s quarterly Higher Education Workshops, which cover a broad range of topics such as applying for National Science Foundation (NSF) and Department of Education (ED) grants, trajectories for faculty grant seeking, and best practices to develop highly competitive proposals. Emily is also a Marketing and Business Development Liaison to the Higher Education Practice, where she assists with the development of client communications materials and social media tools. Prior to joining McAllister & Quinn, Emily interned for Congressman Tom Reed (NY), where she assisted with constituent outreach and researched legislative issues. Emily earned a bachelor of science in special education from the University of Maryland in College Park, MD. She is a native of the Washington Metropolitan Area.